Meera Lester is the author of nearly two dozen nonfiction books and the proprietress of the real Henny Penny Farmette, located in the San Francisco Bay area in Concord, California. Meera co-founded Writers Connection, a Bay Area organization of writers and publishing professional. Readers can visit her blog at hennypennyfarmette.com. With a tight plot, and a strong cast of characters, A BEELINE TO MURDER held my attention and captured my imagination. 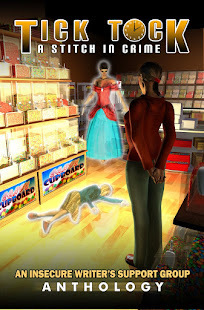 Lots of drama, romance, action and suspects. 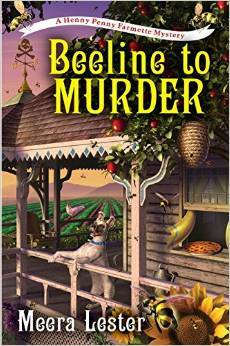 A Beeline to Murder will have you buzzing with excitement as you open this debut story. The characters are charming , witty and fun and the story line is so strong that you will feel like you are part of it from the start. 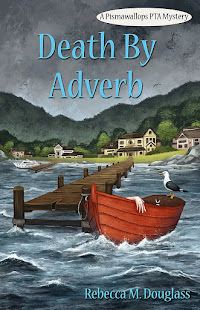 This debut mystery novel has so many wonderful elements that keep cozy readers coming back for more. And, of course, a Rafflecopter Drawing for a free print copy of the book! I don't know much about bees, but I do think the book looks interesting (really, I only sign up to review books I think I'll like!). I'm guessing this was meant as a comment on the writing -process post, but I can't move it, so I'll answer here :) I have done it both ways, but am moving more and more to a planned story. Minor characters will always get invented as needed, but I do like to know the major players pretty well, and knowing the ending is a big help, especially with a mystery! I don't forget, though, hearing I think it was J.A. 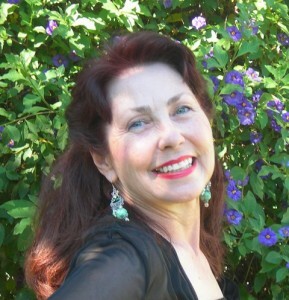 Jance saying at the Tucson Festival of Books a couple of years ago that she was nearly done writing one of her books when she realized that the one she had pegged as the perp didn't do it. That would certainly lead to a convincing red herring! And it serves as a reminder that anyone can be surprised in the writing.